Cilantro, also called coriander or Chinese parsley, is the popular herb whose leaves and seeds are most commonly used as spices. The coriander plant grows all over western Asian and southern Europe, so its exact historical origin is unknown. What we do know is that it has been cultivated since at least Egyptian times! Cilantro and coriander seed are very frequently included in Asian foods and South American foods. I know I love including it whenever I make an ethnic dish! 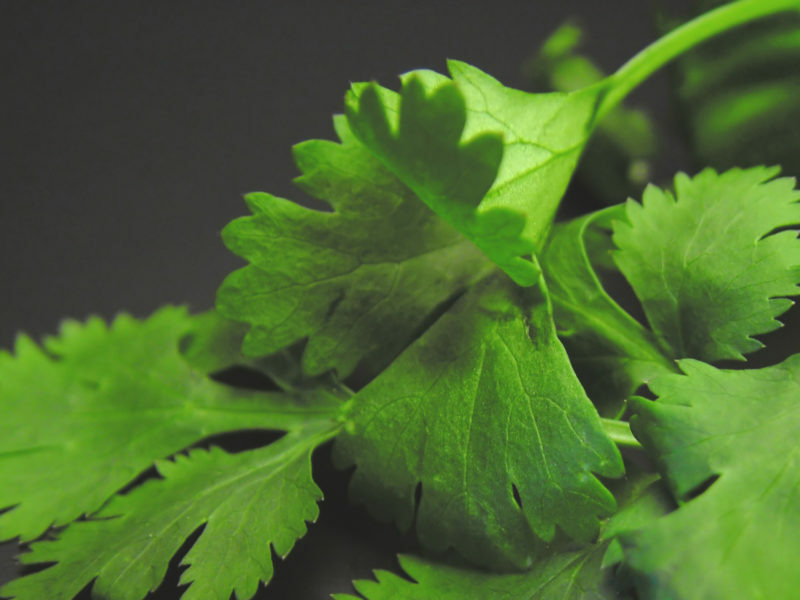 Did you know that a single gene determines how we perceive cilantro? If you have one variation, cilantro is a refreshing herb, and, if you have the other, cilantro tastes like dirt! So, don’t worry too much if someone in your family doesn’t like the taste! If you eat a hefty portion of cilantro leaves, you are actually getting some awesome nutrition! 100g (which would be about a whole bunch) includes large amounts of vitamins A, C, and K as well as some manganese. And, amazingly, there are smaller amounts of almost ALL the other dietary vitamins and minerals!! When the coriander seed is used, there is relatively little nutrition. You can pick up fresh cilantro at your local farmers’ market or grocery store. If you want to try coriander seed as a spice, I would recommend buying organic like the type that Pure Indian Foods sells.